Use the form below to inquire about Premier Resort near Punnamada Lake . Use the form below to reserve for Premier Resort near Punnamada Lake . 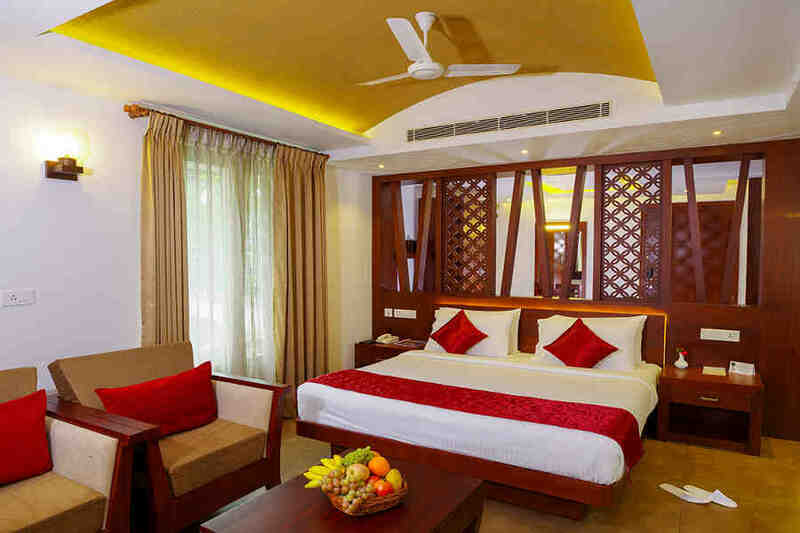 Spacious rooms with double beds, en-suite bathrooms, and private balconies. These are bigger than the deluxe rooms and have double beds and lake views. 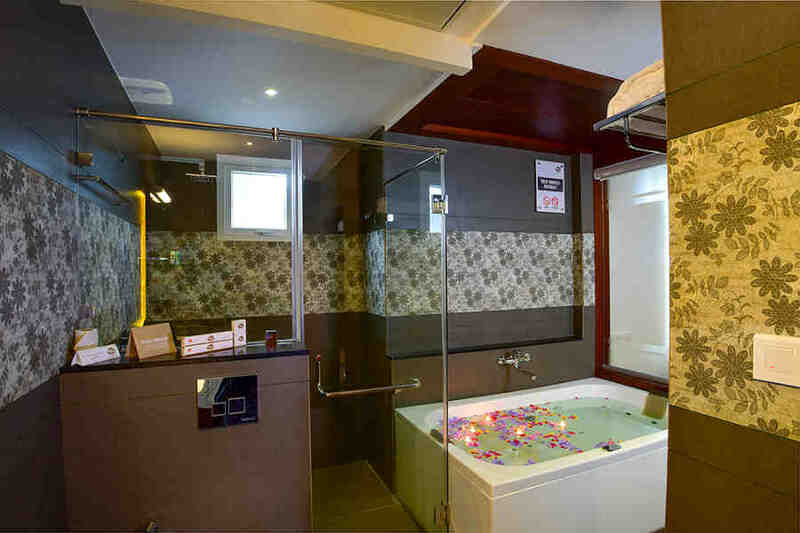 This villa has a separate sitting area, double bed, and a private jacuzzi. These villas have private pools and spacious interiors. Discover the true meaning of bliss at the tranquil Premier Resort near Punnamada Lake, a backwater retreat where time stands still. Alappuzha, or Alleppey, the Venice of the East has backwaters that feed a large network of waterways. The lattice of canals gives it a taste of being a close cousin of the Italian city. The backwaters fringed with greenery, the perennial coconut trees which sway in the constant breeze and soothing green paddy fields are a treat to the eyes. A trip to Kerala is incomplete without an experience of the treasures of Alappuzha. 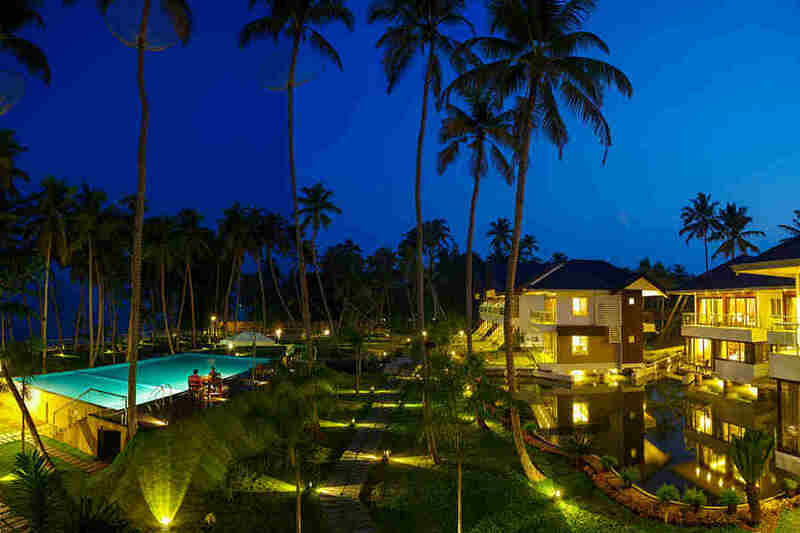 The ingredients for a mesmerizing holiday is what you get during your stay at the Premier Resort near Punnamada Lake. The strategic location of the Premier Resort near Punnamada Lake makes it popular among visitors from all over the world. The elegant architecture of the resort compliments the smooth, placid water of the lake in the background. The resort’s construction is a combination of both traditional and contemporary design. The clean lines of the resort’s façade complement its tiled roof and woodwork. 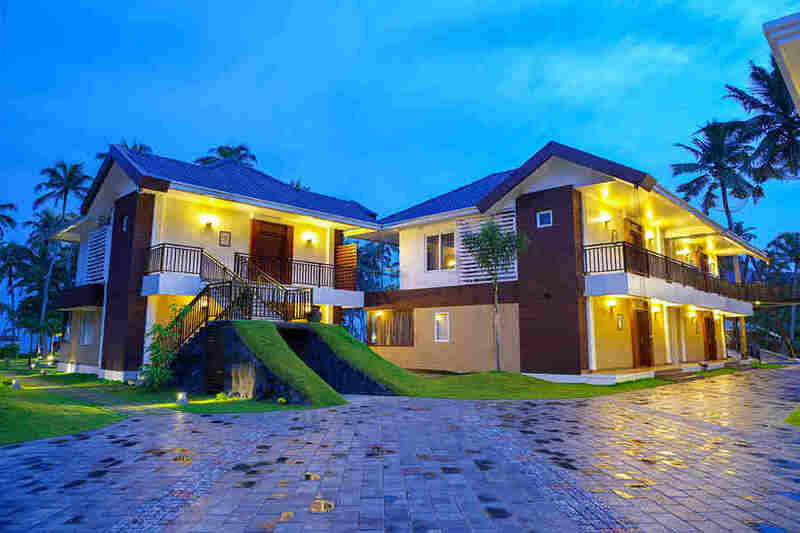 The luxury of the exteriors extends inside the resort as well. Away from commotion and pollution, the resort offers a backwater retreat you’ll cherish for a lifetime. While the resort takes the utmost care to treat you to a luxurious stay, it also has everything in place to indulge the gastronome in you. 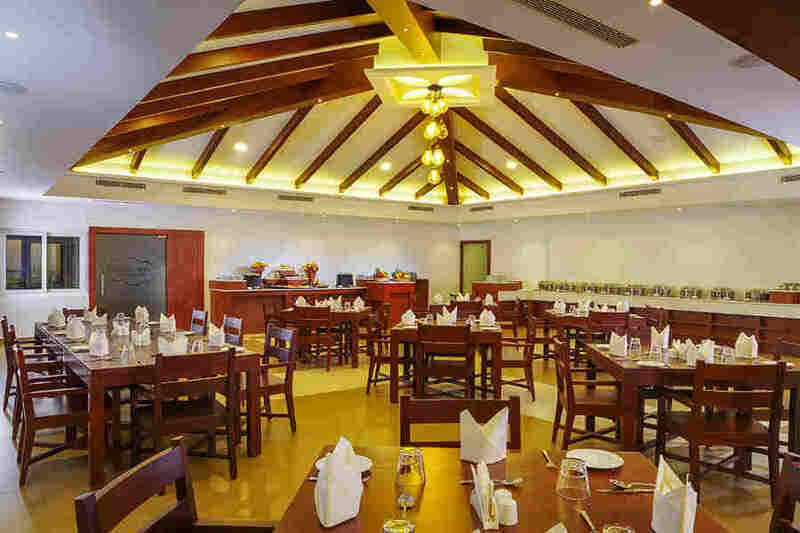 The in-house multi-cuisine restaurant boasts of an extensive menu to cater to your taste buds. 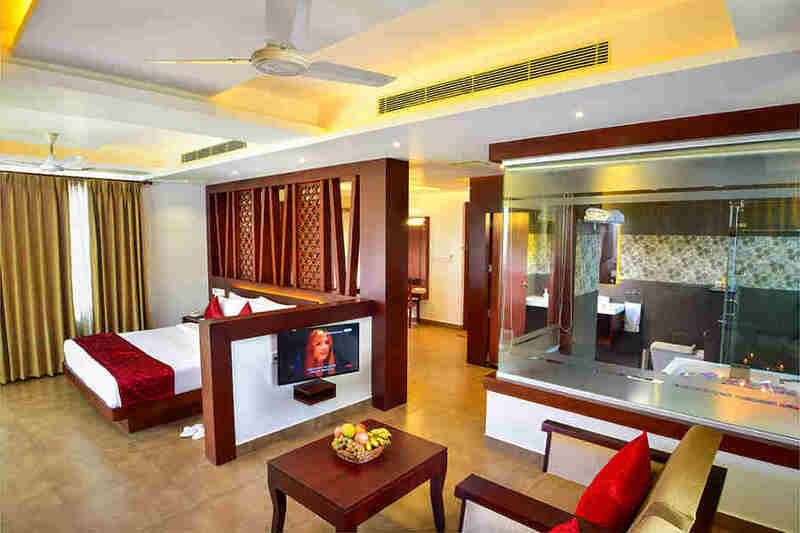 The Premier Resort near Punnamada Lake promises luxurious accommodation in all of its 28 rooms. There are 10 Deluxe Rooms – the Lagoon, 10 Premium Rooms -the Aqua, five Jacuzzi Villas – the Creek and three Pool Villas – the Royal Creek. Each of the pool villas has their own private swimming pool. 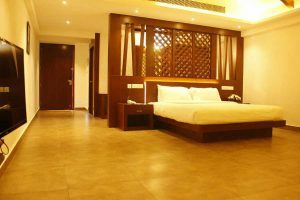 The rooms are well-furnished and equipped with modern comforts and luxuries for a comfortable stay. 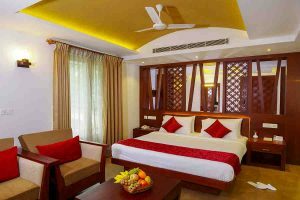 The amenities available at the resort compliment the well-appointed interiors and the views of the lake and the never-ending backwaters are an added incentive. Do you want to pamper yourself with ultimate luxury? This is the place to be! The beach, backwaters, canals, houseboats and all the scenic beauty ensure that you will never have a dull moment when you’re in Alappuzha. During your stay at the Premier Resort near Punnamada Lake, you can visit some of the many attractions that dot the region. Punnamada Lake, Ambalapuzha, Alappuzha Beach, Pathiramanal Island, Kuttanad and Punnapra are some of the places that are on most visitors’ itinerary to explore Alappuzha. Fancy visiting some of the iconic places in Kerala? Kumarakom, the houseboat hub of Kerala, is just a short road trip away from the resort. Besides taking a boat trip in the backwaters, you can visit the bird sanctuary and driftwood museum. Fort Cochin is another place worth a visit if you prefer taking a short day trip. If you are at the resort on the second Saturday of August, you can witness the grand Nehru Trophy Boat Race. You can indulge in fishing and indoor cycling at the resort. You can also go on a pedal boat excursion or soothe your soul at the resort’s spa and Ayurveda center. 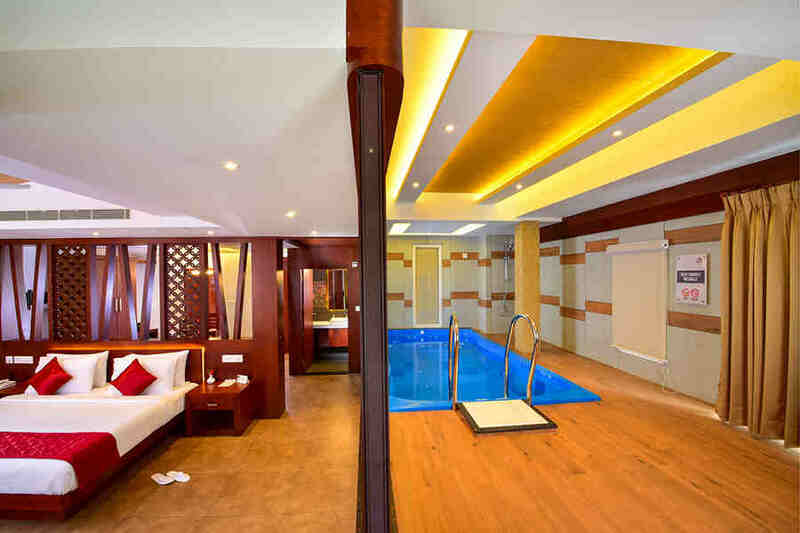 Take a dip in the resort’s swimming pool to beat the heat. Want to relax? The coffee shop at the resort is the perfect place to enjoy a cup of coffee with your favorite book. 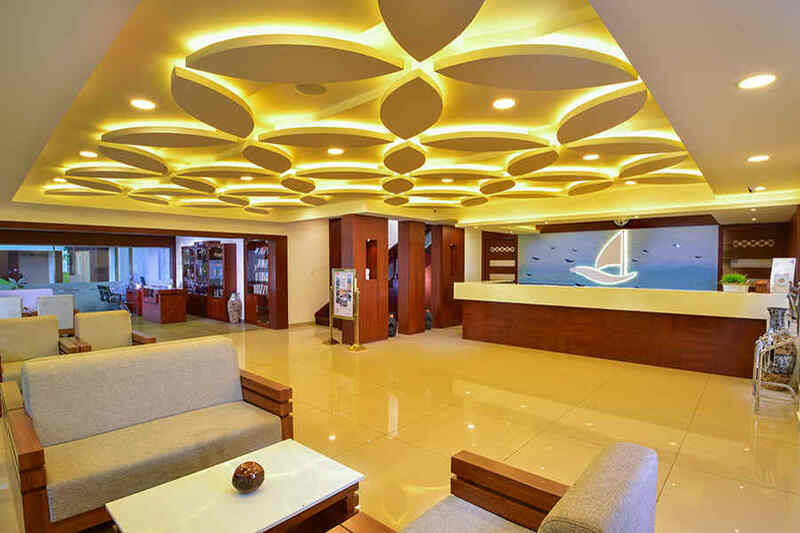 At 78.7 km, Cochin International Airport is the closest airport from the Premier Resort near Punnamada Lake in Alappuzha. Trivandrum International Airport and Calicut International Airports are at a distance of 155km and 220 km away. The airport in Bangalore is located 623 km away from the resort. The nearest railway station from the resort is Alappuzha Railway Station, located 10.8 km away. The railway stations at Kottayam and Ernakulam are located at a distance of 47km and 54km from the resort. Many trains from around the country service these stations. Bangalore’s City Railway Station is located 592 km away from the resort. 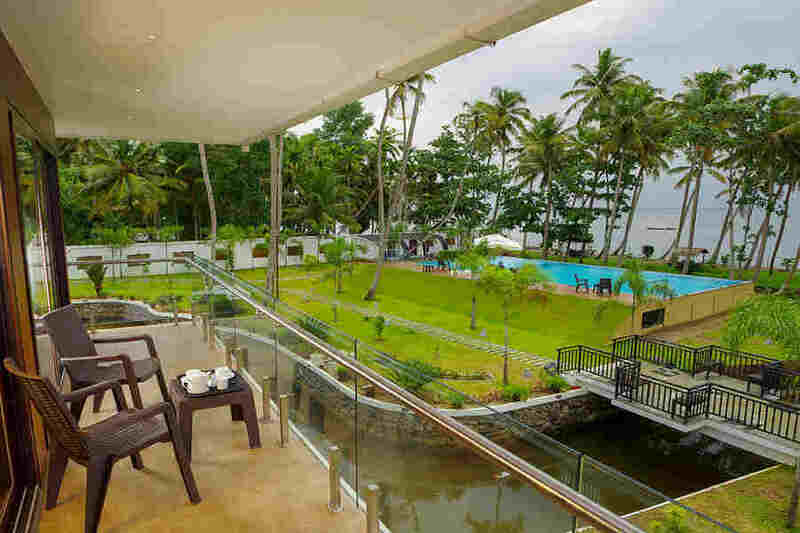 Kumarakom (27 km), Cochin (49 km), and Fort Cochin (55km) are some of the nearby tourist destinations from the resort. Major cities including Bangalore (590 km), Mysore (467 km), Trivandrum (162 km), Chennai (735 km) and Coimbatore (231 km) are connected to the resort by a network of highways.